Makenzies Miracle: Elitches Here We Come! Makenzie had a bit of a rough day today! She was very tight and pretty cranky! Yes every so often she is cranky! I think she may have a bit of a cold as her daddy was sick at the beginning of this week and I have been a bit under the weather myself! She didn't sleep well last night and wanted to be held ALL day! She is sleeping well right now so that is a good thing! We had the privilege of meeting a family right here in our back yard that has been walking down the brain injury road for 6 months! 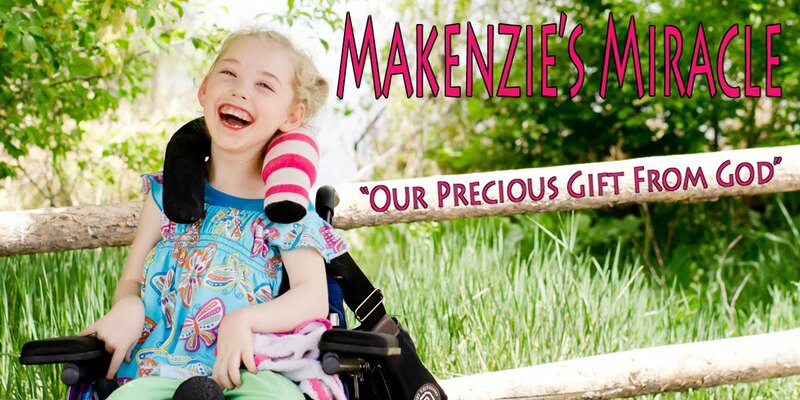 Their daughter Cici's story can be found here or in the "my friends" link list on the right side of Maknezie's blog. We had a great time talking at a fundraiser they held to help with some of Cici's uninsured medical expenses! I would much rather her daughter and Makenzie be well but since reality is that they both have brain injuries it was very nice to meet someone that could understand most everything that we have been through!!! They just recently got back from a trip over sea's with Cici for Stem Cell Therapy!!!! Please take time to say a prayer for this beautiful little girl who has just begun her fight to full restoration!! Thank you J and family for the great afternoon!!! I will see you for sure next month!!! We are off to Elitches tomorrow for Discount Tire's summer party!! The boys are SUPER excited!!!! As I tucked them in tonight my oldest was making a list of all the things he needed to remember to do and bring!!! I LOVE my Kids so much!!! I remember when I was their age how excited I was to go ride the roller coasters!!! Now I get to see that look on their faces!!! I would be lying if I didn't tell you I am a bit nervous to take Kenzie! She gets dehydrated really fast and it is going to be a bit warm tomorrow! I also don't know how long she will be ok walking around there! My boy's, I am sure, will want to be there a long time!!! Please pray that Makenzie LOVES all of the people, rides, and beautiful flowers and will do well so that my boys can stay and play!!!!! With that said I am off to bed so that I can PLAY ALL DAY!!!! Oh to be a kid again!!! Keep lifting those prayers up!!! Believe... Prayer Works!! !